BEWARE! The enclosed package is very powerful, yet delicate, and must be preserved at all costs. Do not store in a place where the ambient temperature could fall below 10° Celsius, or in a place where the temperature could rise above 60° Celsius. Take care not to place anything magnetic such as a speaker, a refrigerator magnet, or a particle accelerator near the “Magic Anti-Virus Disk”, as it will disrupt the Magic Anti-Virus Disk’s mystical connection to the Earth’s magnetic poles and render the disk useless. Also, do not play country music anywhere near the Magic Anti-Virus Disk! The Ancient Computer Virus Gnome Warrior that resides in the disk hates country music, and will commit suicide if forced to hear it for more than 60 seconds. This will also render the disk useless. Okay, okay… Here’s the deal. A long time ago in a galaxy far, far away, there lived an Ancient Gnome Warrior. (Technically, he wasn’t ancient back then, but anyways…) He battled dragons all day, every day. That is, until one day, an evil wizard imprisoned the Gnome Warrior in a floppy disk. Then he turned all dragons into computer viruses. 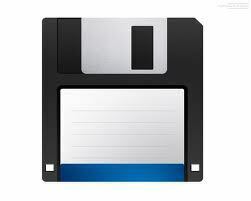 To this day, if you boot your computer off of this disk, and there is a virus on the computer, the Gnome Warrior will kill the virus. Now, for those of you that weren’t in the mood for the story, here are the boring instructions. I need you to do this to every PC in your branch, including teller PC’s. First, turn OFF the computer. Then insert the disk in the floppy drive. Then turn the computer ON. It will automatically scan for viruses, and get rid of them. When it is complete, you will see “The Gnome Warrior is done” on the screen. *Special Note* This will not work on laptop computers! On all laptops, you must restart the computer, log into Novell with the user name SCANME (leave the password blank). Then wait for “The Gnome Warrior is done” to appear. Please email me when all computers in your branch have been done. It will take a while to complete on each computer, but please be patient, as this is something that absolutely has to be done. This entry was posted in Randomness, Science and Technology and tagged anti-virus, country music, Gnome by Dave Isom. Bookmark the permalink.